Brandt played four seasons at the University of Minnesota, captaining the team her senior year. She earned 285 points in 158 games. Brandt was a member of the 2018 U.S. team which won gold at the 2018 Pyeongchang Olympics. 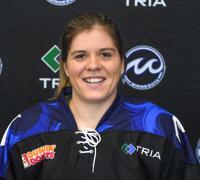 Brandt is entering her first NWHL season with the Whitecaps.